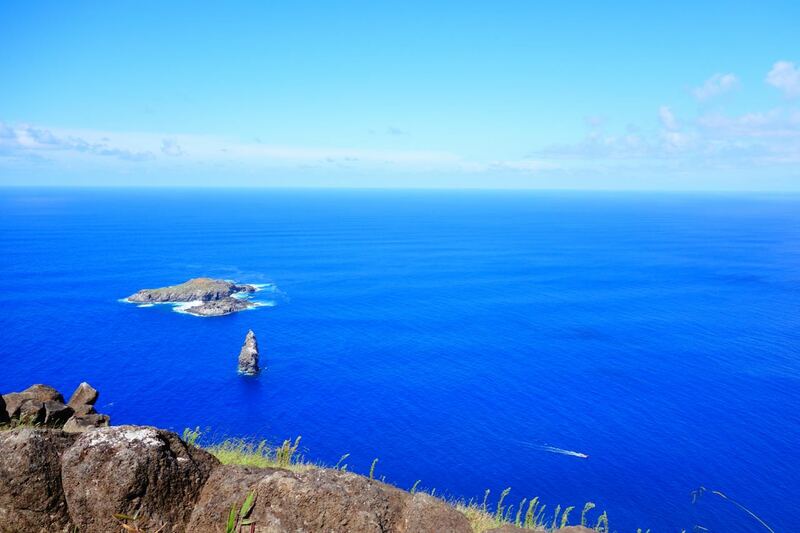 Easter Island or Rapa Nui is probably the most remote place in the world I ever will be, other than Antartica. It is truly in the middle of nowhere, surrounded by water, with no other land mass in sight. A lot of its history is still a mystery because there is no written record and little oral history to be found on the island. 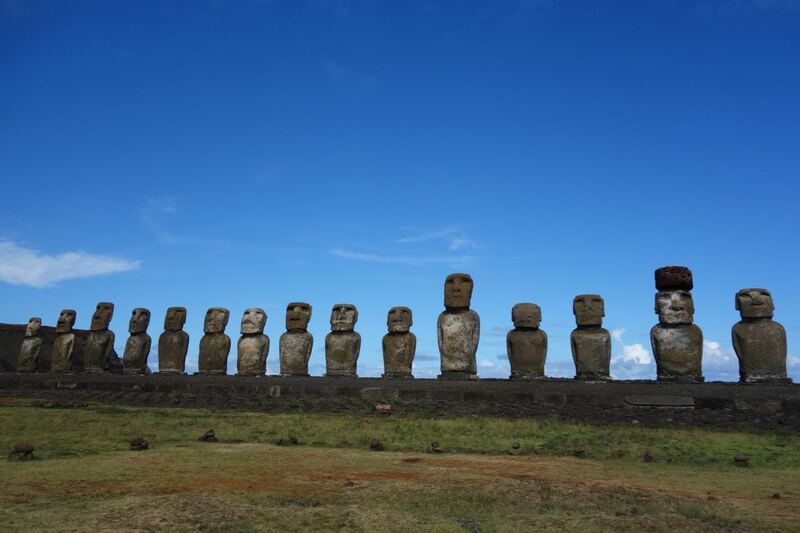 It is believed that deforestation, internal wars, rat infestation led to the end of the Moai (the massive statues) period. 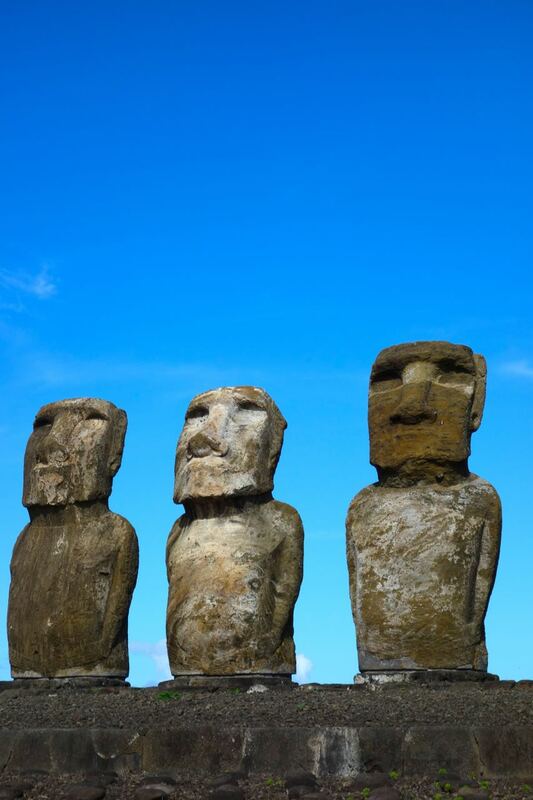 The massive statues called Moais are believed to be representations of deified ancestors. 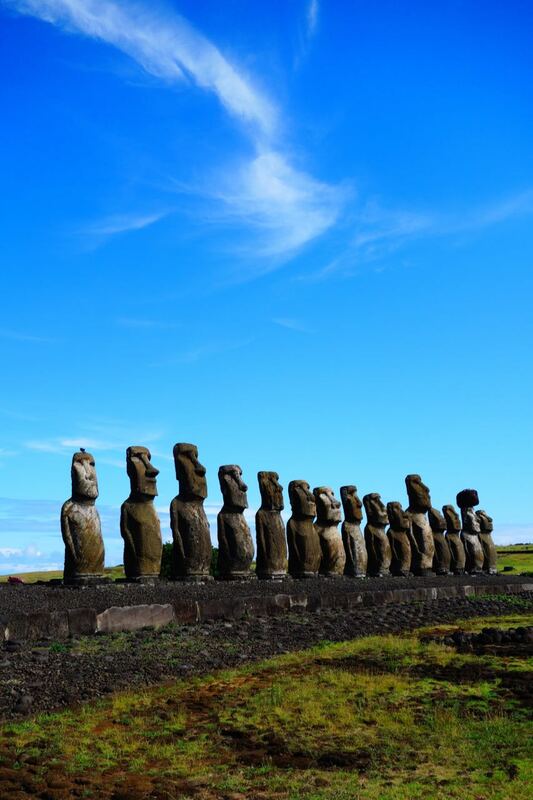 They are erected along the coastline facing the villages which they watch over and protect. 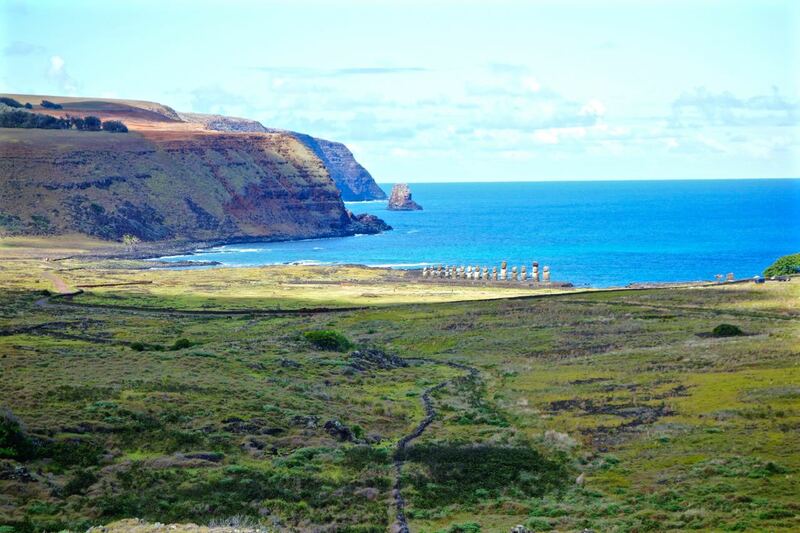 The 15 Moai on the coast is the largest moai platform on the island. 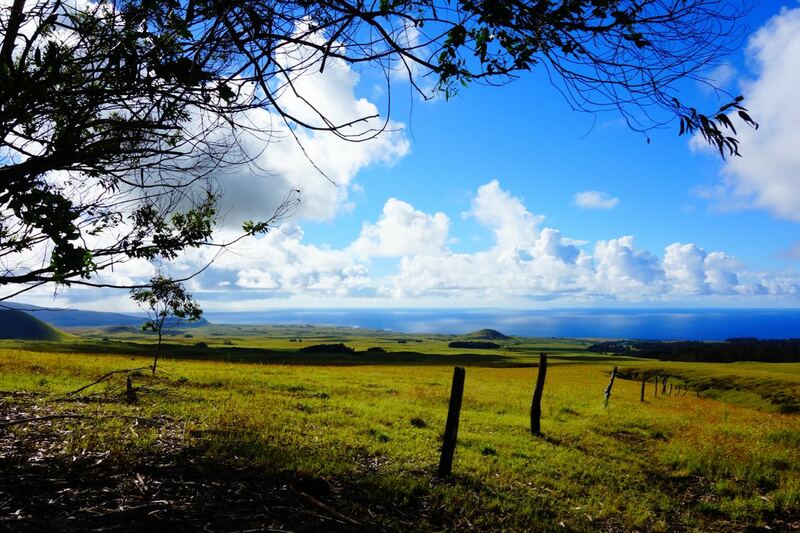 We stayed at the Explora Rapa Nui which is an all inclusive luxury hotel offering more than 20 different excursions around the island. Each afternoon, one of the guides will meet with us in the bar at the lodge and brief us of the explorations on offer for the next day. You can opt for one full-day or 2 half-day activities. 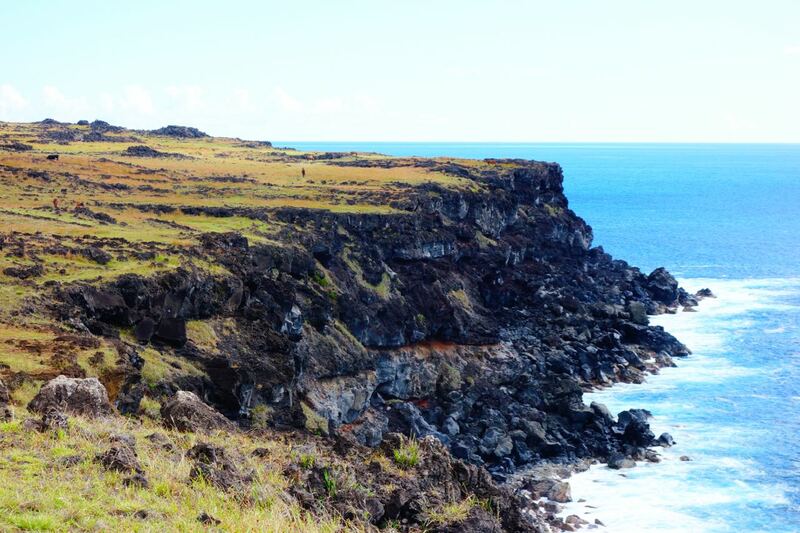 Hike along the cliff of the island. 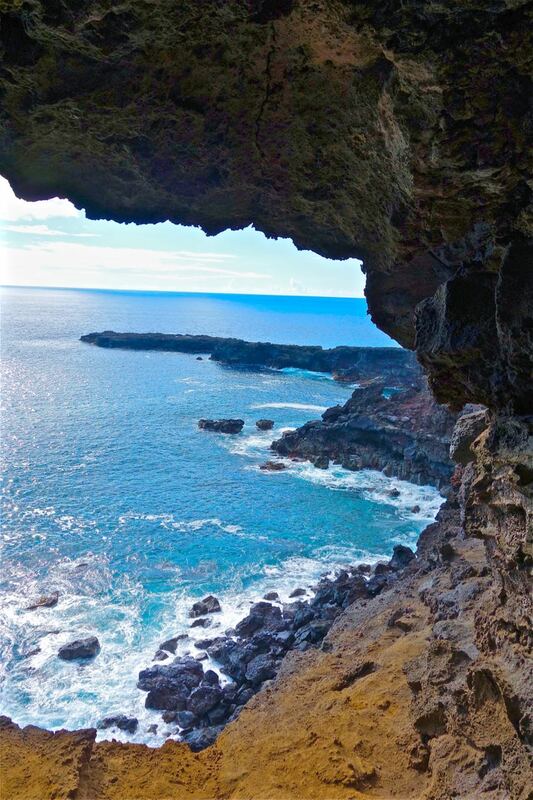 Cave dwelling with a view. 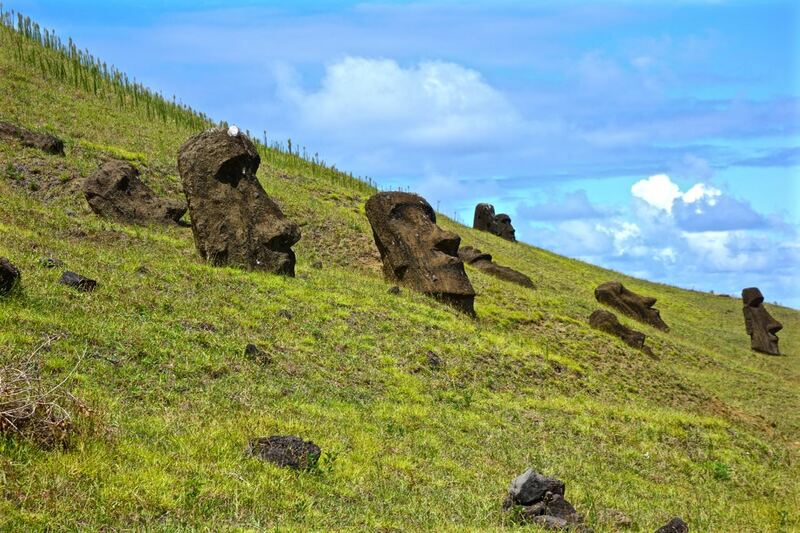 The Moai Quarry supplied most of the stone for the island’s statues. 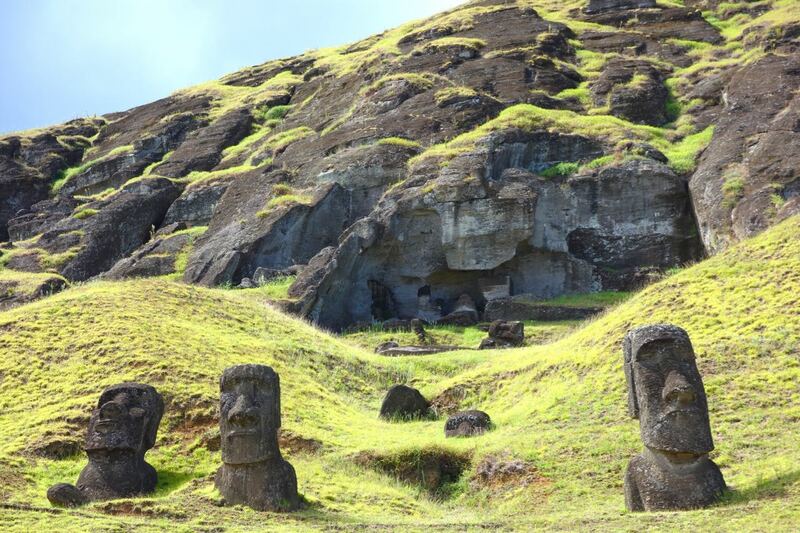 397 moai remain here at the quarry in different conditions, some partially completed, some partially buried, and others still attached the the rock from which they were carved. The area looked like it was abruptly abandoned and that at any time the workers might return to work on these giant statues. 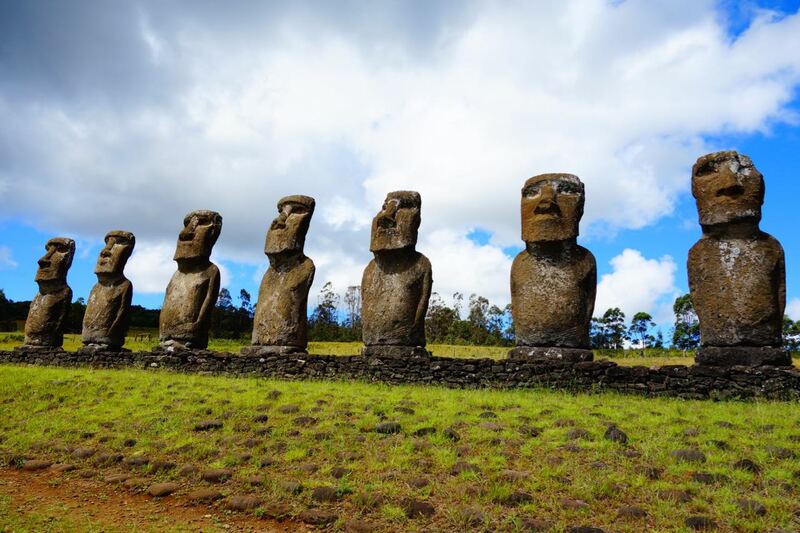 Moai with body underground is altogether about 12 meters tall. The statues are first carved on three sides and then lowered onto the slopes below before being stood upright and having the backs carved. Once completed, they were moved to their intended platform in the village. The hat or pukau is their depiction of coiled up hair and notice the long fingers near the belly signifying wealth and abundance because the wealthy did not do manual labor and hence the well manicured hands. 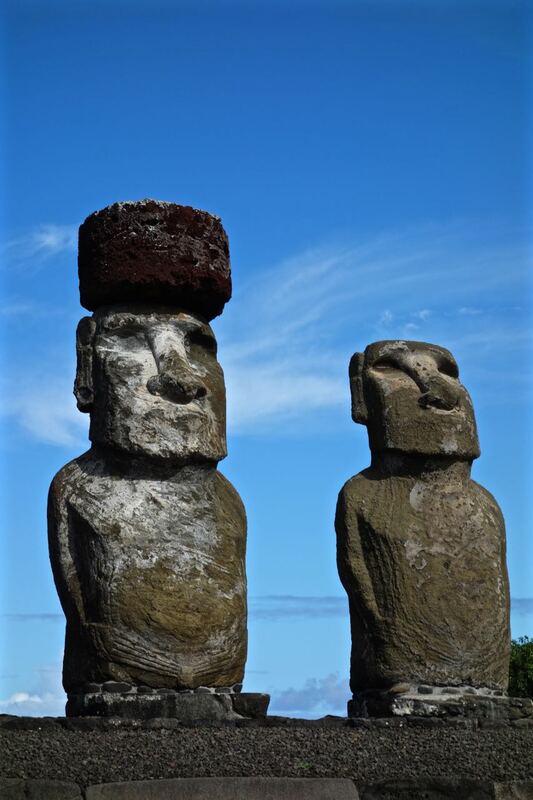 Coral and stone eyes were placed into the eye sockets of the moai to activate their power of protection. 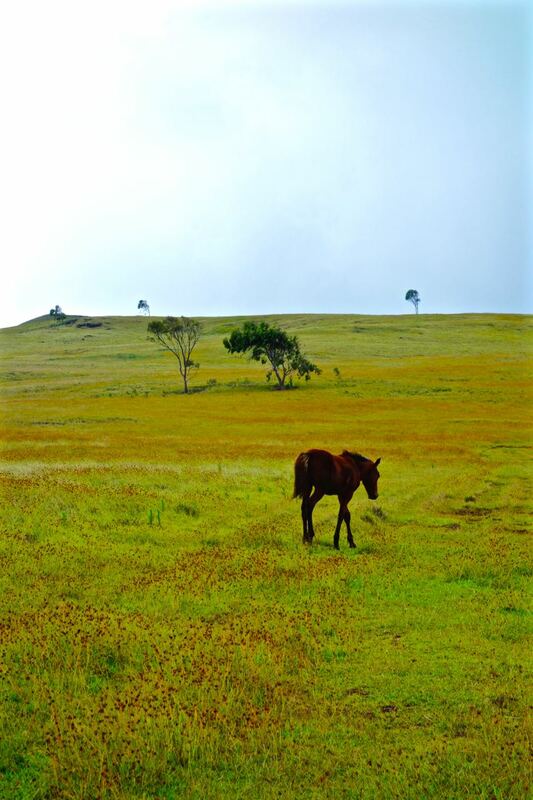 Other than visiting the moai, there are plenty of beautiful hikes around the island with wild horses roaming freely. 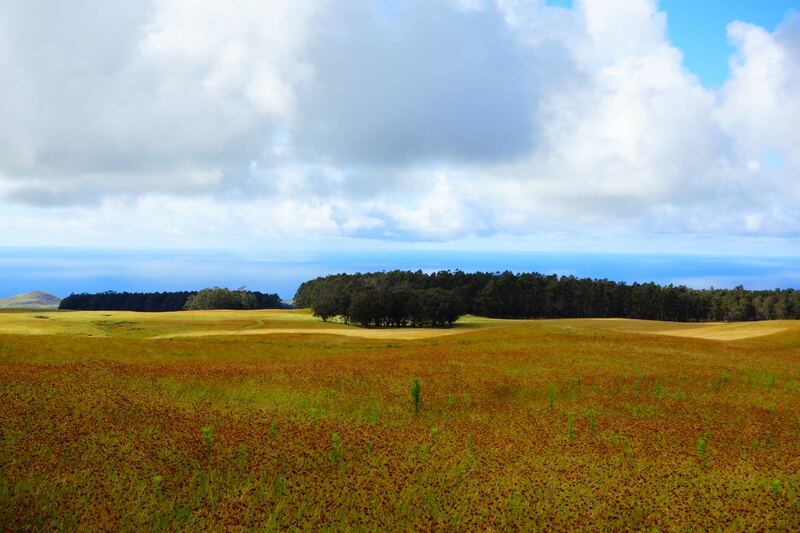 The most memorable hikes was the one up to the beautiful volcanic crater of Rano Kau also called the Birdman Crater. It is often described as a witch’s cauldron. 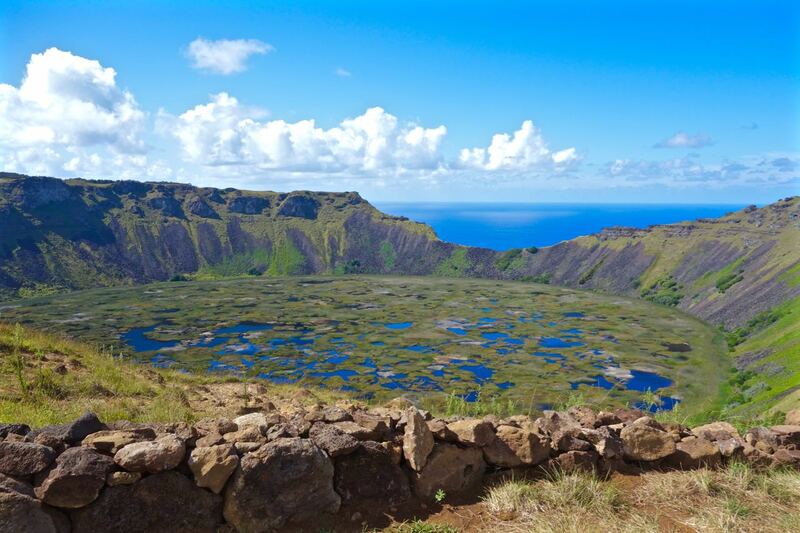 The crater has its own micro climate and the cattail plants on the lake’s surface are supposedly the same as the ones found in the floating islands of Lake Titicaca in Peru. 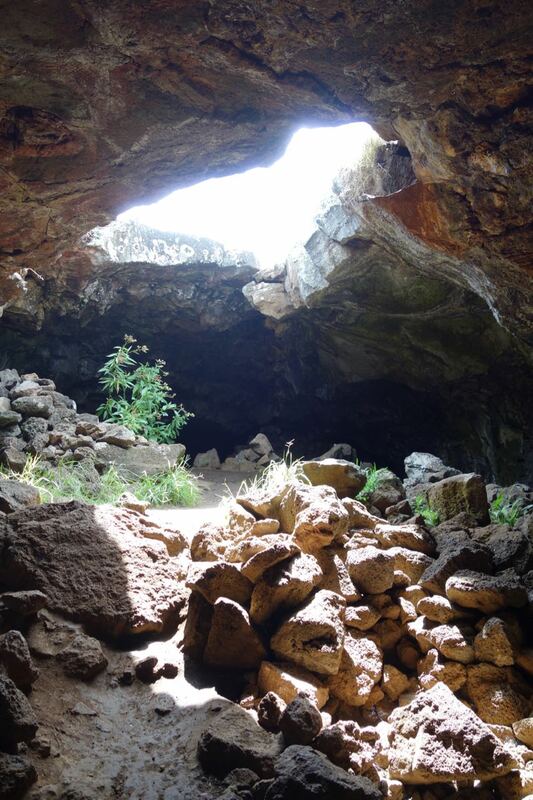 The village of Orongo on its rim was the center of the Birdman cult where every year there was a race to climb down and swim to Moto Nui island and search and bring back the first manutara egg undamaged. The competitors would tie the eggs to their foreheads and scale the cliffs and brave the open waters. The patron of the winner of this competition will become the new leader of the cult. It is truly a mysterious and beautiful place. 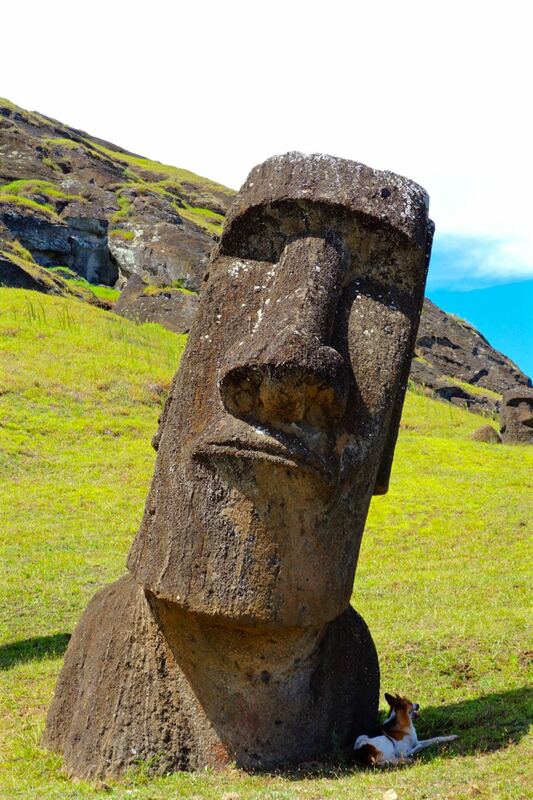 I wish I could have stayed a bit longer to explore some of the beaches and lesser known moai statues.